When looking at paintings at the museum, the observer’s attention is literally captured by the colors, the forms, the feelings expressed by the artist. In one word, the Art. And that’s the intention – nothing else should count. 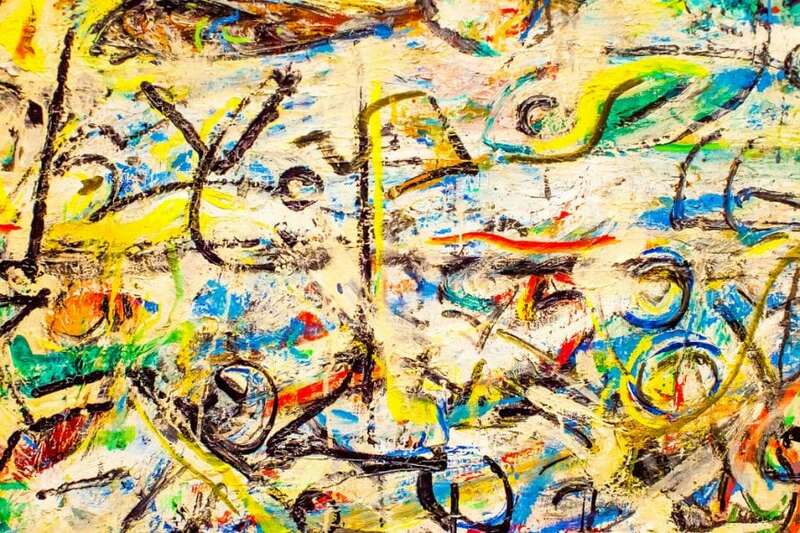 Unfortunately, artwork is aging, and already many masterpieces had to be restored using advanced technologies, such as the famous “Two” by Jackson Pollock. In fact, most of the effort in conservation science has been concentrated on the cleaning and preservation of the aesthetic – the frontside of paintings. Both for society, and even from a commercial perspective, the visible part of easel painting is what matters. Unfortunately, not only does the paint layer degrade, but the supporting material, often based on natural fibers such as cotton, called canvas, also becomes weaker. Canvas degradation is one of the crucial issues of easel paintings, which can, in some extreme cases, lead to irreversible and dramatic damages. The degradation is usually not directly visible until it has reached proportions important enough so that it significantly affects the painting appearance, under the form, for instance, of tears. The aging results from several processes. Temperature and humidity variations cause dimensional changes of the painting mounted on a stretcher. Complex chemical degradation processes, such as acid hydrolysis and oxidation, due to acidity, originating from the different materials used to prepare the surface to be painted as well as absorption of gases from the environment leads to the polymeric (cellulosic) chains cleavage. Traditionally canvases have been consolidated using an adhesive layer or by lining the original canvas with a new one, i.e. gluing a new canvas over the original one. The damaged piece of textile on the back side of the painting is in all the cases exposed to an adhesive, natural or synthetic, but its long-term fate is often unknown [Chelazzi, D., Chevalier, A., Pizzorusso, G., Giorgi, R., Menu, M., & Baglioni, P. (2014). Characterization and degradation of poly(vinyl acetate)-based adhesives for canvas paintings. Polymer Degradation and Stability, 107, 314–320. https://linkinghub.elsevier.com/retrieve/pii/S0141391013004333. Lining is also not ideal as most of the conservators lean towards minimal intervention. In the end, no perfect material exists, as it is supposed to provide a stiff support while allowing the transfer of the load from the painting to the supporting material. The challenge is to find a support that is invisible, does not add extra weight, but that does the job, that really backs up the canvas without disturbing its life. Recently the group of Romain Bordes at the Chalmers University of Technology, Sweden, has explored the possibility of using nanocellulose as a strengthening agent. Nanocellulose is a family of nanomaterial that can be obtained from various sources and processes. Nanocelluloses are environmentally benign and widely available. In addition, it is perfectly compatible with the cellulosic nature of canvases, being identical from a chemical point of view. The lateral dimension of nanocellulose is typically 5-20 nm but the longitudinal dimension may vary from tens of nanometers to several micrometers and exhibit outstanding mechanical properties, which is of specific interest for restoration purposes. There is a wide range of nanocelluloses to choose from, with different aspect ratios and different degrees of crystallinity. Each of them provides specific qualities as restoration material, and together, they constitute a large toolbox for the purpose. In the report recently published by the group, different types of cellulose nanofibers and cellulose nanocrystals have been demonstrated to provide an excellent reinforcement in the low elongation region, i.e. below 3%, where strengthening should be provided. The mechanical reinforcement was even superior to traditional adhesives. Nanocellulose acted by forming a thin film on the surface of the canvas that closely followed the complex structure and topology of the canvas surface, thus enabling a good reinforcing effect. This research is carried out at the Chalmers University of Technology, Gothenburg, Sweden within the project NanoRestArt (NANOmaterials for the REStoration of works of ART). The research project is funded from the European Community’s H2020 Programme (Grant Agreement No. 646063). Details about these findings can be found in the article entitled On the potential of using nanocellulose for consolidation of painting canvases, recently published in the journal Carbohydrate Polymers [Ref: Volume 194, 15 August 2018, Pages 161-169]. This work was conducted by Oleksandr Nechyporchuk, Krzysztof Kolman, Michael Persson, Krister Holmberg, and Romain Bordes from the Chalmers University of Technology, Alexandra Bridarolli, Marianne Odlyha, and Laurent Bozec from the University of London, and Marta Oriola and Gema Campo-Francés from the University of Barcelona. Oleksandr is a research scientist at the Chalmers University of Technology. Romain is a research scientist at the Chalmers University of Technology.